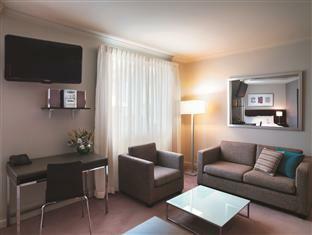 "Nice quiet hotel in the back streets of Chippendale." 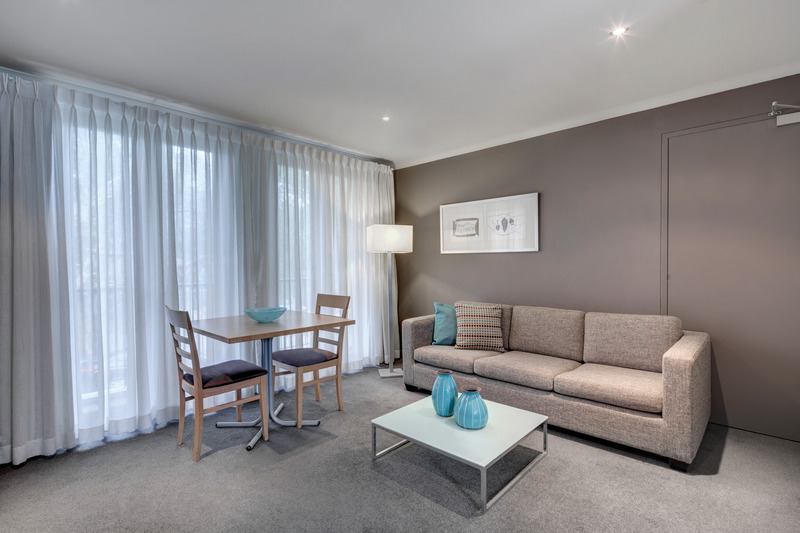 Have a question for Adina Apartment Hotel Sydney Chippendale? "Excellent location, all facilities well maintained and clean." "Courtyard with pool and parking were added bonuses." "We needed to be near the Uni so the location was great." 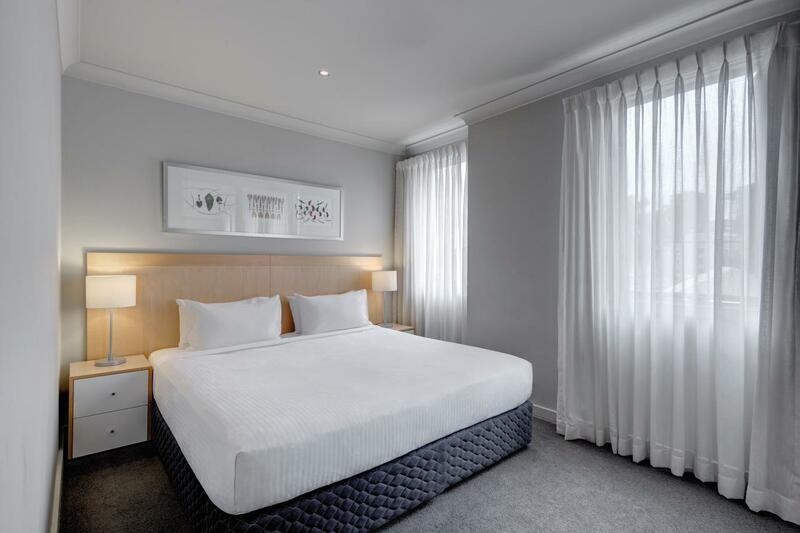 Adina Apartment Hotel Sydney Chippendale is on the pulse of Sydney’s inner west side, blending sleek modern design with full-access apartments. 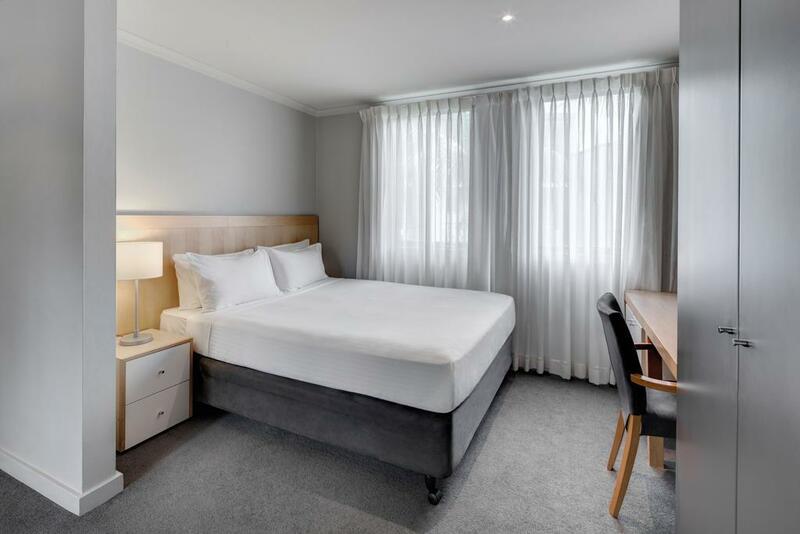 Guests are close to Sydney University, the University of Technology, the Broadway Shopping Center, and the central business district. 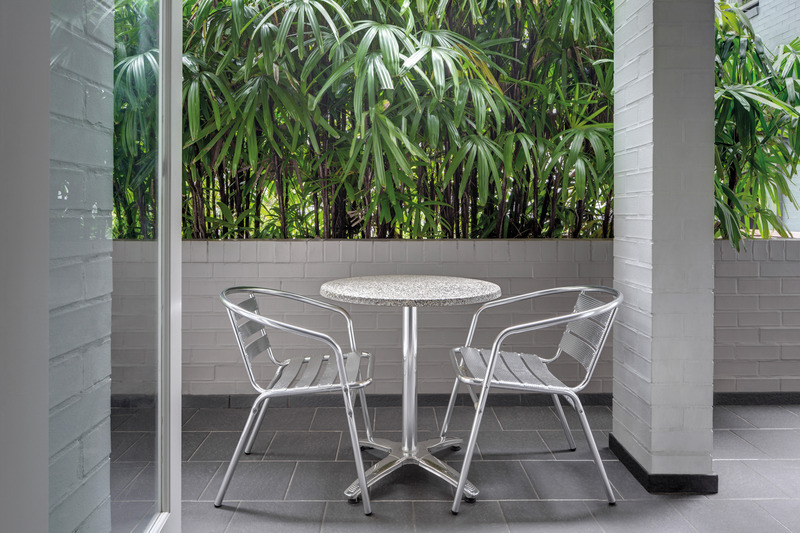 Apartments include a flat screen TV and kitchen and are set around a beautiful courtyard with an outdoor pool. 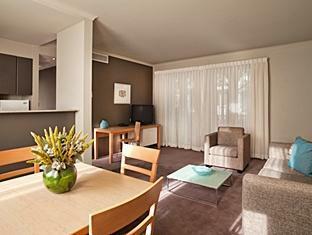 Some apartments also feature spacious living areas leading onto a private balcony. Before you run around the central business district meeting clients or head out to run a lecture at the university, hit up that breakfast pack. It will put you on the right foot for that busy schedule. 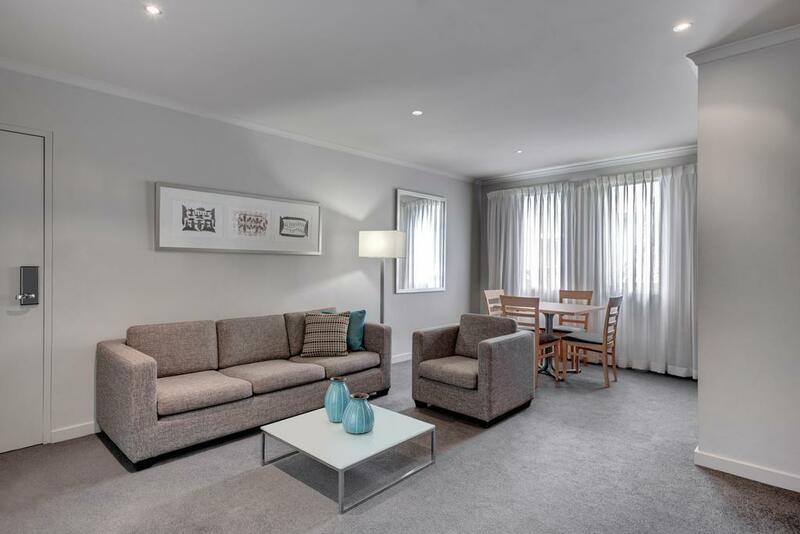 After a busy day exploring the city, lounge around your comfortable apartment with a bottle of one of Australia’s popular varieties ordered straight up from room service, or order a gourmet meal from Green Olive Darlington Café with chargeback facilities to the hotel. 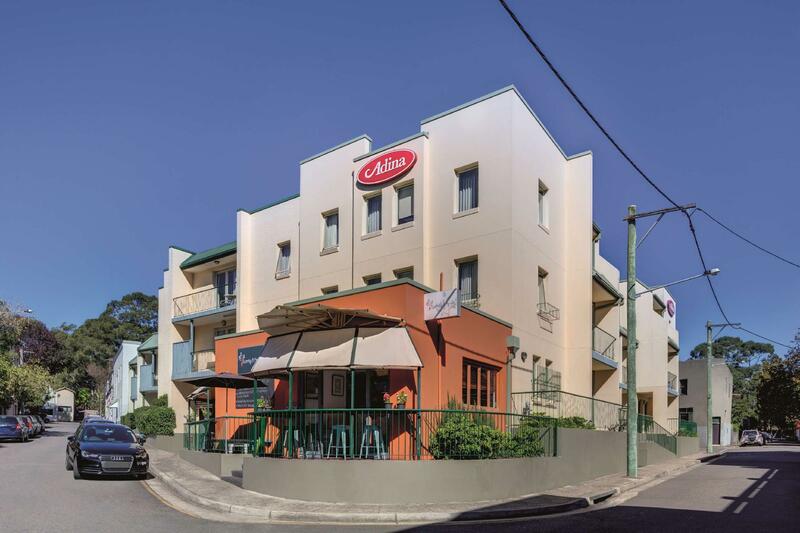 While it's located in a quiet residential area near University of Sydney, it's also within a walking distance to shopping malls such as Broadway and Central, galleries such as White Rabbit and Carriage Works, and the railway station, Redfern from where you can get to CBD within 15min or so. The apartment is fully equipped for cooking and laundry. Eat-out option nearby includes some of the best cafés in Sydney.